The superstar driver is the protagonist of a new spot from his Formula One team, Mercedes-AMG. The newest addition to the brand’s portfolio, the GT 4-Door Coupé combines sports car performance with the features of an everyday road vehicle. 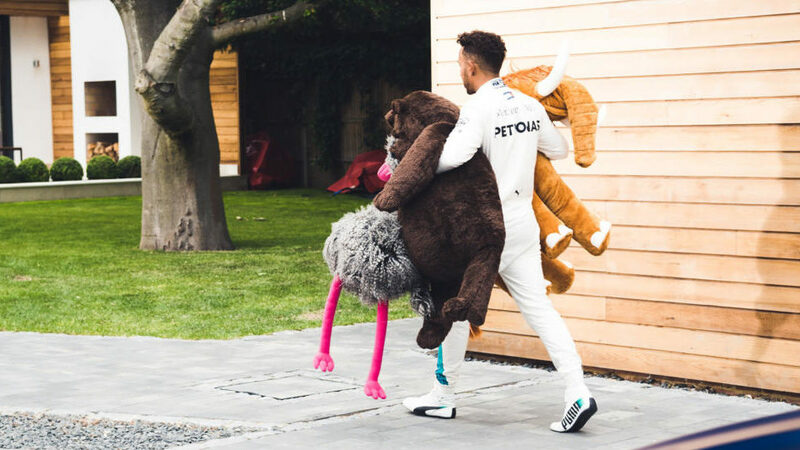 To demonstrate the car’s power, the ad depicts Hamilton veering off the track mid-race to make a special delivery: a trio of large stuffed animal toys to the birthday party of a little girl named Lisa. To intensify the high-octane racing scenes and the start-stop-start pacing of the ad, our music supervision work paired this film with the song “I Don’t Wanna!” by four-piece Dutch indie-rock band PEER. Citing the likes of retro-futurist bands Arctic Monkeys and The Strokes as influences, PEER’s punchy song literally drives the energy of the 90-second ad, proving that life is, indeed, a race. Watch and hear the complete ad, below!